To make a donation in support of a runner, please make a donation on the runner’s webpage. 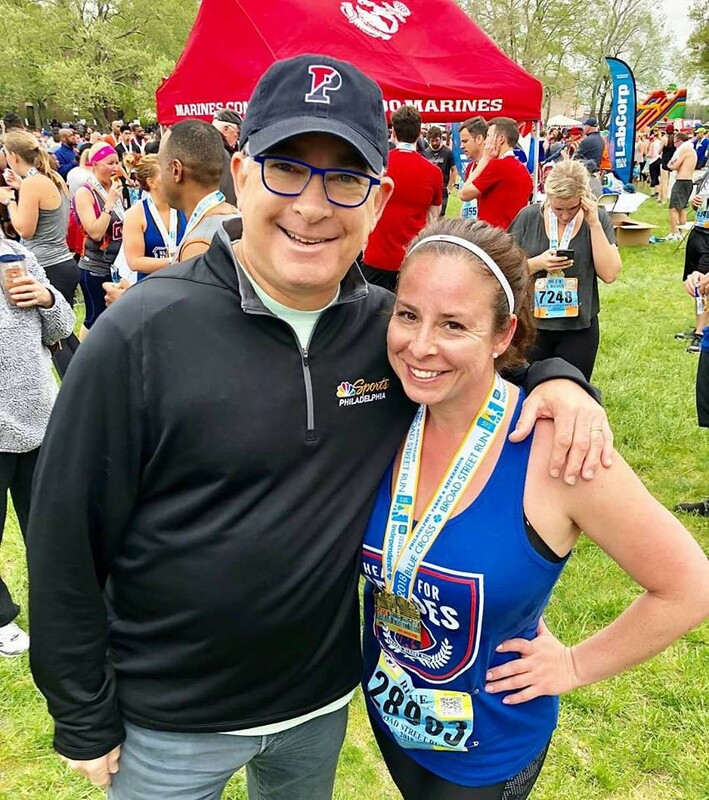 The Barkann Family Healing Hearts Foundation’s Hearts for Heroes Team will once again be supporting a very special family this year through our Hearts for Heroes program that will culminate with the Broad Street Run on Sunday, May 5th. The Barkann Family Healing Hearts Foundation’s Hearts for Heroes Team will be proudly running in support of The Scales Family on Sunday, May 5th in The 2019 Broad Street Run. Mark Scales (a chef), and his wife (a teacher) and their four children (three girls, ages nineteen, seven and five months and one boy, age fourteen) lost their entire house and all of it’s contents to a fire on February 22nd, 2019. They escaped physical harm, but were left with only the clothes on their backs. Mark and his family were moved to tears when they found out The Barkann Foundation’s Hearts for Heroes team will be running in support of their family. Unfortunately on the morning of February 22nd 2019 me and my family went thru a devastating house fire where we virtually lost everything we had and own besides the clothes on our backs. The fire was electrical caused by some faulty wiring that was in the walls of our laundry room, I have a wife and 4 children. My wife Latoya who is a teacher, a 19 year old daughter (Katlin) who is a freshman at Delaware college of Architecture & Design, a 14 year old son (Trevon) who is in the 8th grade, a 7 year daughter (Sianni) who is in the 2nd grade, and a 5 month old daughter (Jasmine). We were all affected by this unfortunate situation and living our lives turned upside down from my kids not fully able to really understand what and why this exactly happened. Me and my wife are trying to pick up the pieces and guide our family through this and getting back to some sense of normalcy why we still go to work and keep our kids daily routines as normal as possible. Right now we are staying with my sister-in-law (my wife’s sister) until we are able to find and afford something permanent, but she has 2 kids herself and things are pretty tight in the house right now spacing wise. As grateful as we are for her opening her home to us we are hoping to find something soon, but just trying to find a good place and that works for us both family wise and financially is something we are in the process of doing. But for now we just pray and ask God for strength and guidance through this as we know he will not allow this to hold us back. Thank you for your love and support to our family. To support an individual participant, please click their name from the list below. You can make a donation online using your PayPal account or any major credit card.